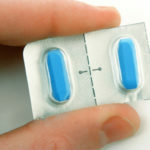 Lipodrene Diet Pill Review (UPDATED 2019): Is it Effective? Lipodrene Diet Pill Review: Is it Effective? Claiming to contain a pharmaceutical-grade formula for weight loss that has a special technology to be effective in fat burning, Lipodrene targets women in particular who are having trouble getting rid of fat that doesn’t seem to want to leave, specifically in the thighs, hips and buttocks. Claiming to be based on volumes of clinical and scientific data, Lipodrene wants to take the attention of the market to prove that it is effective. But can these claims be verified? Or is this just another pill with empty promises? We decided to find out. 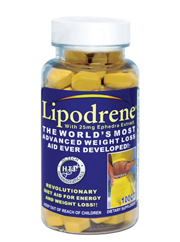 Lipodrene is based on releasing fat so that it can get used for energy. It works by attaching itself to alpha-2 receptors and pulling out the fatty acids from individual fat cells. Adenosine monophosphate, which is used by RNA in the body, then mobilizes the fat lipids that have been stored for thermogenesis, as opposed to using carbohydrates. Hormonal thyroid output increases as well. Adenosine monophosphate, also known as Cyclic AMP, regulates not only the body’s thermogenic response to food, but raises the metabolic rate as well as utilizing body fat as energy. Despite it’s optimistic claims, the company’s website has no testimonials that prove that this product is effective. While the company’s website does not list it’s ingredients, other than mentioning ephedrine and hoodia gordonii, a complete list can be found online. At no point are the amounts of the ingredients listed, so there is no way of knowing how effective any one of the ingredients are. Diet pills on the top 10 list avoid this practice. It should also be noted that this product contains ephedrine, an ingredient that is banned in the United States. -Sida cordifolia extract: While being used for centuries to treat a variety of ailments, such as asthma and the flu, this ingredient also includes ephedrine, which has been banned in the United States. Caffeine: A stimulant that helps raise energy levels, as well as improves mental cognition. 5-hydroxytryptophan: Known for it’s mood enhancing effects. 5-methoxytryptamine: Related to melanin and serotonin, this ingredient naturally occurs at low levels within the body. Citrus auratium: Contains synephrine, which works in conjunction with ephedrine. Green tea extract: A common ingredient in diet pills, used to boost metabolism, it also contains many antioxidants. Hoodia gordonii: An ingredient once thought to suppress appetite, scientific studies have shown that this ingredient is not effective. Yohimbe: May make caffeine more potent. Also known to treat erectile dysfunction. Cassia nomame: While claiming to be a lipase inhibitor, there is no clinical evidence to support this. Naringen: Known for it’s synergistic qualities when added with other ingredients, such as caffeine. 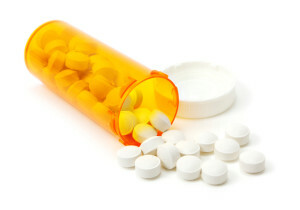 Products containing ephedrine may cause the following adverse effects: Anxiety, irritability, dizziness, headache, rapid heart rate, vomiting and nausea. It is recommend not to take ephedrine with caffeine. If bought on the company’s website, shipping is free. There is also customer support 24 hours a day, 7 days a week. Lipodrene contains sida cordiflolia extract, which has high amounts of ephedrine. Ephedrine is a substance that has been banned in the United States because of the potentially dangerous adverse effects it causes. Ephedrine has been known to cause adverse effects in it’s users, with more serious side effects that can seriously harm people with pre-existing heart, kidney, thyroid, blood pressure, seizure conditions, among others. In small doses ephedrine can be okay, but the problem with this product is that it does not come by itself, but included with caffeine and yohimbe. Each ingredient alone with ephedrine is enough to give a very stimulating effect. When all three are combined however, the effect is even greater. It’s at this level that it can be potentially dangerous, which is why the FDA lead a ban of ephedrine in 2004. Not only is this combination potentially dangerous, but the amounts of each ingredient isn’t included in this product. So in the end, you don’t know how much ephedrine, caffeine and yohimbe you are taking, which can potentially be very dangerous. While it can be possible to lose weight with Lipodrene, the combination of ephedrine, caffeine and yohimbe make it potentially dangerous. You shouldn’t have to risk your health to get healtier. There’s a reason the FDA banned the use of ephedrine, and that should be noted of first and foremost. If you are looking to lose weight, it’s because you want to get healthier. There shouldn’t be causes of concern to your health that you should worry about. Better diet pills won’t potentially harm their users. It’s just not worth it to risk your health over this. Simpler to just look for another product. Whats better than Lipodrene Diet Pill?